Hebron Academy alumna Jennifer Skiff is an award-winning journalist, an animal advocate and an author. 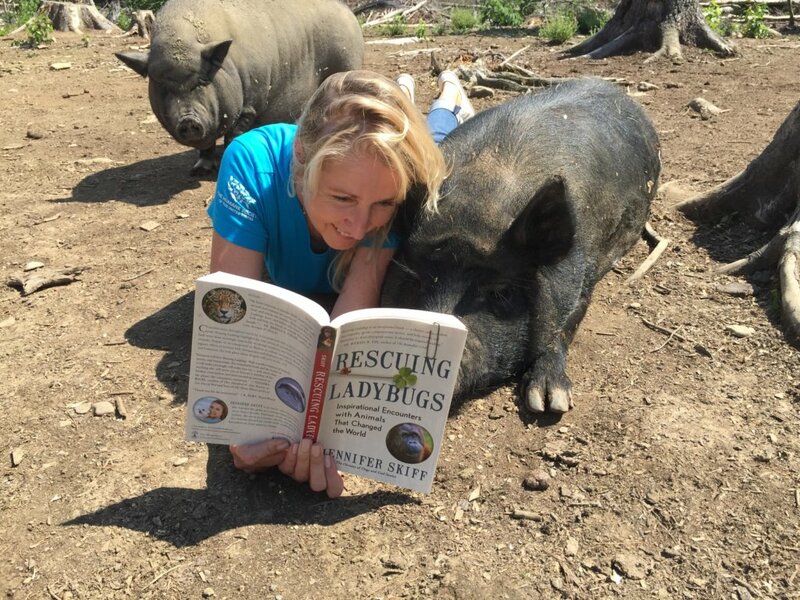 In her latest book, “Rescuing Ladybugs,” she puts all of those skills to work to highlight the stories of people helping animals. One person released orangutans in Borneo, another worked to save sharks in Indonesia, someone else protected salamanders in the United States. To Skiff, it all marks a “compassion movement.” And she wants to share it with the world. Family: I am truly loved by two rescue dogs and I have a husband who seems to like me a lot. Job: I asked my grandmother for – and received — a typewriter when I was 12 years old. I guess you could say I’ve been able to earn my keep since then by writing stories for television and books. Volunteer activities? Yes, I’m an overactive volunteer. 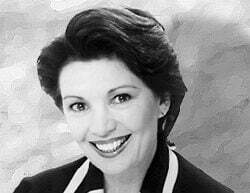 In Maine, I serve as the chairwoman of the Humane Society of the United States Maine State Council, the chairwoman of the SPCA of Hancock County Council of Trustees, and am an advisor to the Maine-based global organization Institute for Humane Education. I’m also a volunteer with Humane Society International, Animal Aid USA and the Dogs’ Refuge Home (Australia). My life is pretty much all animals all the time! Tell me about “Rescuing Ladybugs”: “Rescuing Ladybugs” is a book that highlights the true stories of remarkable people who didn’t look away from seemingly impossible-to-change situations, and highlights how their lives and ours, too, were changed for the better by their actions. Everyone profiled is a leader in what I call the compassion movement. Where does the title come from? When we were children our parents taught us that the ladybug brought good luck when she landed on you and that we should gently blow her away so she could return safely to her family. The story nourished our natural empathy and set us on a path to feel compassion for all animals. We were being taught one of the greatest lessons in life: that kindness for others has rewards. This title popped into my head one day and stayed. How did you find the people and animals in your book? In my role advocating for animals, I’ve had the privilege of working alongside some of the world’s greatest leaders and visionaries. It made sense to ask them about the animal who inspired them to act. In “Rescuing Ladybugs,” I write about how we met, I tell their story, and then I highlight the work they’ve done that benefits us all. Did you get to meet any of the animals in person? This book is part memoir, so yes. Each chapter starts with one of my own stories where I had an “aha” moment with an animal that wasn’t my pet, from a bear in Laos to a dog in Turkey to a garter snake in Maine. What’s your favorite story in the book? Ha. That’s an illegal question because I have 22 contributors and I wouldn’t want to hurt anyone’s feelings. Having said that, there’s this one orangutan I’d like you to meet. What made you write “Rescuing Ladybugs”? I wrote this book for several reasons: to profile the good work being done by people to help other species, to inspire others to act, to document the current state of exploitation of animals and to illuminate the interconnectedness of all species. What do you hope readers take away from it? A heightened awareness for animals who aren’t their pets, an understanding of how communication with other animals helps us all, and the realization that you have the power to create joy in your own life by igniting your purpose. How does this book compare to your earlier “The Divinity of Dogs”? They are both books about connections with animals that changed lives in a positive, inspirational way. Any plans for your next book? I have ideas but no definite plans. In truth, once I launch a book, I spend a year promoting it. My plans for 2019 include speaking engagements and continuing my lobby efforts on Capitol Hill in Washington and Parliament in Australia for laws to protect animals. I also plan to lead compassion adventures to Liberia (chimpanzees) and Borneo (orangutans) to help others activate their desire to create positive change in our world.